If you have oily skin, you know how difficult it can be to maintain a clear complexion. With daily care and cleansing it is possible to reduce the affect of having oily skin. This is a guide about remedies for oily skin. I have been experiencing oily skin more and more of late (since being a mum) particularly below my throat and above my chest area, also around the T Zone areas on my face which have not really been a problem for many years. Since I am an at home mum, I feel very guilty about spending the kind of money on trying different products and have outgrown the habit of toning cleansing and moisturising. Really, I usually only put moisturiser on before make up or after a shower/bath but since the problem is slowly getting worse, I tried something about 2 weeks ago and I wish I thought of it before. I ve been using sanitising hand gel to clean almost everything around the house for about 18 months now (there's another tip). It contains mostly alcohol and kills 99.9% of germs. Having attacked a clogged pore on my nose (same one every time), I felt annoyed with myself and felt if I dabbed a little on the pore (instead of a little perfume to dry it out), it may not appear so bad the next day. Then while I was at it, I thought I may as well dab a little on a couple of other spots and the outbreak of spots above my nose. What could go wrong? I mean, it is mostly alcohol! The next day, everywhere I had dabbed the gel was clear or dry of oily skin at least. The spots seemed to calm down and the redness was all gone, even the annoying blocked pore looked clear. I have applied this gel to similar areas each day or when I take a trip to the bathroom. Now all the spots on my chest area are almost gone and the ones on my face have been gone for a week. My skin appears to be glowing - it is super clean. But most importantly, the blocked pore remains clean and clear and has not raised since. I was worried that I might dry my skin out at first, but since I'm only dabbing small amounts here and there to the oily parts, I seem to be balancing my skins ph. At night time after I've showered, I've noticed my skin does not feel dry any more. I would normally apply some moisturiser but now I just wash my face with warm water a little soap then dab a little gel where needed and wake up non blotchy and fresh faced! This makes a nice change. The gel I buy is Hygenic-Gel Instant Sanitiser 500ml bottle, they can be bought at Homeland for just 89p! or maybe 99p now. Lots of other places seem to have cottoned onto their popularity though so I've noticed have bumped up the price lots on these gels. I'm sure you can even buy in bulk the 100% alcohol gel that hospitals use for a good price, if you wanted that much. I clean my bathroom floor with the stuff and have just cleaned bright pink Play-doh out of my rug and carpet using a little on a wet tea towel. I wipe down my walls with it, the pushchair, the dinner table everything! It is so effortless and cheap to use, I use it to clean and wipe down all my kitchen surfaces (glossy white kitchen with 20 kiddy fingers equals mucky looking kitchen). I sound obsessed I know, but this stuff does make cleaning fun and everything looks as good as new after using it. My mum and mother in law have even adopted it now. Word of warning though, if you leave a wet dishcloth out overnight with a good bit of gel still on it, you may wake up to an unpleasant smell. Just rinse the cloth after use properly with hot water and you won't! Wash your skin in hot water. Cold water doesn't dissolve oil very well. Use good warm water! Rub a wedge of lemon across the oily parts of your face as a natural astringent. Don't buy soaps especially made for oily skin. Popular Ivory soap works very well - the trick is to lather well and wash often. Also, consider a more-drying regular soap, such as Safeguard or Dial. I have tried lemon peel on my skin. OMG, it really works! My skin was soft! I am just 15 years old, but my face is full of pimples and my skin is oily. Please suggest something to get rid of the pimples and oily skin. Oh honey, I do feel for you. There's just nothing worse than acne for a teenager. My son is 13 and is just going through it. We found a product made by Neutragena (sp). It comes in an orange tube and works really well. It's not real expensive, about 4 dollars a tube. You can also try the ProActive. I've heard it's really good. They advertise a lot on TV. When I was young they made a product called 10-0-6 and it got rid of oily skin really well. You may try to find that like at Walmart or target. I hope this info helps. Good luck to you. I am 45 and I get pimples every time I eat too much sugar. I bet diet is a very important factor in getting rid of acne. I suggest you do a search on the internet. www.mercola.com has a great article on the subject. I use Witch Hazel on my skin and it works great. Witch Hazel is the main ingredient in Pro-active, but you can buy it at a dollar store for a lot less. While you're there, buy a package of "cotton rounds". Wash your face in the morning and evening, and after it's dry, pour some witch hazel on a cotton round and apply it to your face. I also agree with Luluturull about limiting the sugar you eat. I have a oily skin and I have acne scars on my face. Please help me out as am going to be engaged in a month or so. I also have a sensitive skin so i just want homemade recipes. Please answer me in detail about a whole day care for it and also how much required for applying for my skin type. Will be anxiously waiting. I too had very oily skin as a young woman but our old family doctor said to never put soap on my face, just to use a soft wash-rag (that is for a babies skin) on my face with warm water. Then after doing that I was to apply some liquid "MILK of MAGNESIA" onto my face, let it dry (it dries out to be a chalkie white clinging like film/powder to your skin) and then after it was dry I was to go to bed to sleep for the night. By the next morning my body had absorbed the white chalkie Milk of Magnesia so there wasn't much of it left on my skin in the morning for me to remove again with only plain warm water and the baby soft rag. That is all that I did and it cleared up my face within about 6 months. I still use it on my skin IF it breaks out to this day BUT it very rarely breaks out anymore AS NOW because of doing this my skin isn't oily anymore! It is like it changed the chemistry of my skin. Good Luck to you...I hope that they sell Milk of Magnesia over there...it is something that is purchased and used here in the United States for people who are constipated. I hope this helps and good luck with your pending engagement and marriage! Regarding the milk of magnesia thing, will using that hurt the skin in the future? I heard that those with oily skin won't get wrinkles that easily. take plain honey, smooth it on your face for ten minutes. Do this twice per day. Supposedly, the skin is soft and any scarring disappears. If you do find something that works, however, I'd love for you to post it! Good luck and best wishes on your engagement! I have acne scars on my face and the scars are very little, but I think it doesn't look good. Please can anyone help me? Does honey is suitable for oily skin to put on scars? Does it work? I have a oily skin. I want to be beautiful and have normal skin. Can someone advise me on some tips for remedies that I can do at home? My skin is oily and I have lots of pimples. What can I do? I know this sounds sick! But it works! Every day, drink a glass of water with one tablespoon raw apple cider vinegar and 1 tablespoon molasses. Do this for at leas a month. After a week you should tell a difference! Obviously it's necessary to keep your skin clean, however, "scrubbing" or over washing can actually cause more breakouts. Too much overstimulates and actually fools the skin into thinking it needs more oil. Don't overdo! You need to be sure to treat the "root" of the problem. Use a topical treatment that will actually kill the fungus under the skin otherwise it will continue to come back. A little tip that will help; change your pillow case every night. In retrospect you clean your face thoroughly then go to bed and rub it around on something that has been exposed repeatedly to hair products and all kinds of elements that now have 8 hours to set into your skin! Good luck! The best thing I've ever seen for pimples is Colloidal Silver. I use the Silver Biotics brand. You just dab it on with a cotton ball or cue-tip. If you put it on at the first "feel" of a pimple coming on, it will never develop. 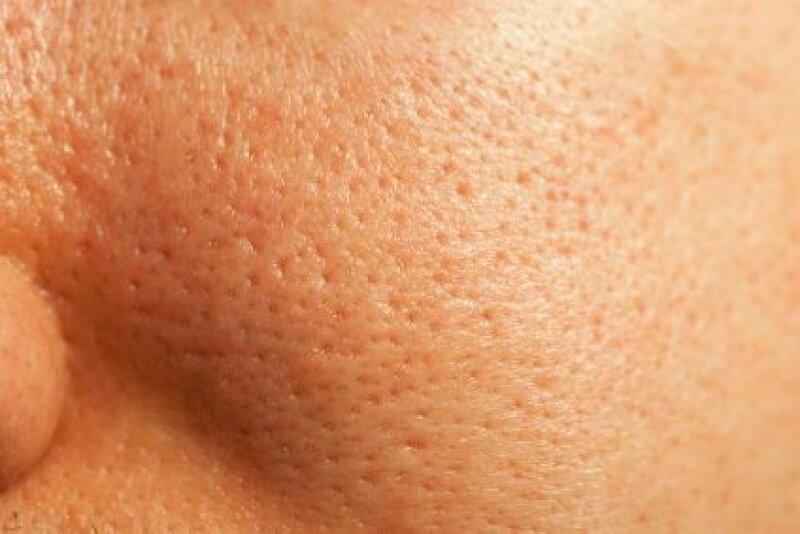 If you already have pimples it will take a bit longer to clear them up but if you are consistent it will work. Apply it 2 - 3 times per day until your pimples are gone. Good luck! Also, my neice has oily skin and she uses witch hazel as a daily astringent to keep the oil down. If she ever feels a pimple comin on, she'll use the silver biotic. I have oily skin and I don't like it. Please tell me how to protect my skin from oil. Unfortunately, you cannot protect your skin from oil--your skin makes oil to protect itself from the environment. Some have more active oil producing glands then others. On the bright side, you will end up with fewer wrinkles when you get older! You need to be mindful of what you eat. Good skin starts from the inside out. Eat lots of fruit and vegetables and steer clear of strong sauces, garlic, curries, etc because these can come out in your skin. Get regular exercise and wash your face every couple of days with a paste of bicarb soda and water. It will act like a mild scrub and clear out your pores. On alternate days, use a mild cream cleanser. Cetaphil, or sorbolene creame are good. Remember to also drink lots of water to flush out your system from toxins. Question: What Causes Oily Skin? What really causes excess production of oil on the face? Is it the sugar, wheat, oil we eat. What causes excessive activity in our sebaceous glands? I think it is just heredity. Some people have oily skin, some normal, some dry. I bet most people have combination skin. It's a hormonal problem usually caused by an imbalance in the adrenal glands. Our dematologist has told me that oily skin is hereditary. When he examined my teenaged kids, he looked at my face to see if I had large pores. Oils in the skin are effected by hormones. Females will often break out around the time of their menses. Both males and females will have oilier skin during their teens because of increased hormone production. Dont dispair. People with oily skin fair much better with age.. imho. I have fewer wrinkles and lines than others with dry skin. Nah, oily skin is not heredity nor hormone induced. Yes, you'll break out more when the menstral cycle stops by to make our life miserable for five days, but this happens to everyone regardless of their skin type. I have extremely oily skin and my Mom has extremely dry. My oldest daughter has oily skin and my two other children have dry skin. You just get what you get as far as that goes. I can help you with your oily skin woes, though. (Be grateful you have oily skin as we "oilies" age much nicer than dry skinned people). After you wash and astringent your face, put on a VERY LIGHT face cream that states for oily skin on the bottle. A preconceived notion oily skinned people seem to have is to not put cream on their face. However if you don't replenish your face with moisturizer after cleansing, you will actually produce MORE oil. And if you wear base make-up, wear an extremely light textured cream specifically formulated for oily skin. Help please! My skin is oily with blackheads (my nose, cheeks, chin mostly have it). What is a budget friendly cleanser that works great for this? I'm hoping to pay for a cleanser that is $10 or less because I'm a very tight on money. I'm having oily skin and it's very difficult to maintain. For days now I have stopped using makeup. Can someone please suggest some good tips including which type of soap is suitable for oily skin and how to maintain/care for oily skin? I have lots of pimples, as well as marks, on my entire face. I want to remove them all within a week it's urgent. I want to make an oxygen pad on my own as a home remedy for oily skin. How do I make oxygen bleach home remedies? I want to get rid of oily skin and pimples. My face looks dull. I want my face to look fair and pretty. Believe it or not it is good to have oily skin! You will always look young! I would try any or all of these remedies for your face. I always at least once a day spray my face with Listerine at night before I go to bed. When my face is all slimy and sweaty from mowing the yard (sorry for the visual) I use baking soda toothpaste mixed with Dove to wash it and clean it. Also when I am hot and just water won't do, I use apple cider vinegar on my face diluted with water in a coffee cup on the bathroom window which is next to the sink. We have a small bathroom. When I feel like it, I dip a piece of tissue in the vinegar water mix, and dab my face with it. These are all anti-fungal and cleansing, yet natural. Check out earthclinic.com for more ideas. Also if you love soft skin, try washing with Dove and then put an oatmeal mask on, just oatmeal water goo, and then let it dry. Then gently wash off after it is dry and rub on a little bit of coconut oil. After that sits a minute, then wash with Dove again and wipe face off. Coconut oil has a lot of properties, besides being an anti-fungal, anti-viral, anti-parasite, etc. It is really good for topical use, and can draw fevers out and soften hair and get rid of lice all at the same time. If you have high blood pressure, I would not use it internally as one of its benefits is that is raises blood pressure of people who have low blood pressure. I have very oily and acne prone skin, lately I have been more towards using natural products. I haven't found anything that's really worked. Please post recipes for toners, face washes, and/or masks that work or have worked for you. I also get very bad acne on my back. How do you even get rid of that? Your help is very much appreciated. Thanks. Be careful washing your face too often and too hard, or even with too harsh a soap. Try getting a hold of Grandpa's Pine Tar Soap. For a good toner, kffrmw88 has it down! Use cider vinegar with cotton balls. Good luck. This is just what worked for me. I still get zits at "that time of month", but nothing like I used to, and they don't last like they used to either. In my experience, breakouts are your body's way of showing you that you need to get rid of some toxins. I have had good luck taking dandelion root capsules to help cleanse my body. Also, watch out for what you eat and drink and bathe in. If you have bad water (sometimes you don't know it until it's too late) it can be absorbed through your skin, not just by drinking it. You can also try other methods of detox, such as zeolite, foot treatments, etc. Check out earthclinic.com for more suggestions from all over the world. Don't just blame your skin. It may be trying to tell you something. I've tried just about everything with my face. Lately, it seems to be more oily than usual and I've been sweating, which makes matters worse. I use Proactive for sensitive skin, but it doesn't keep the oil at bay, and I wanted to use something that would break the cycle. Here's what I came up with, simple and super cheap. I put a bottle of old aspirins in my blender with some vinegar and water and whizzed them. I poured the solution into an empty bottle. I shake it up, pour some into my hand or a washcloth and massage it onto my face. I allow it to dry, then rinse my face as usual. Aspirins are salicylic acid, just like most face cleaners contain. I have really oily skin and all related problems like opened pores and pimples. No matter how many times I wash my face I can't keep it from being oily.